It finds its base on one of the classical references of this Scottish brewery, Schiehallion, matured for 6 months in barrels from the Glenfarclas Distillery in Speyside. It is loveable from the first moment, with a deep golden color that shines in the light, a delicate aroma that teases with its sweet Sherry hints, and its spicy and slightly smoky touches. It develops its full potential in the mouth, gently combining lots of different flavours, ranging from wheat to cinnamon, from vanilla to dried apricots. A truly great beer, with a long finish, light and easy to drink at 6% ABV, despite its complexity and soft warmth. 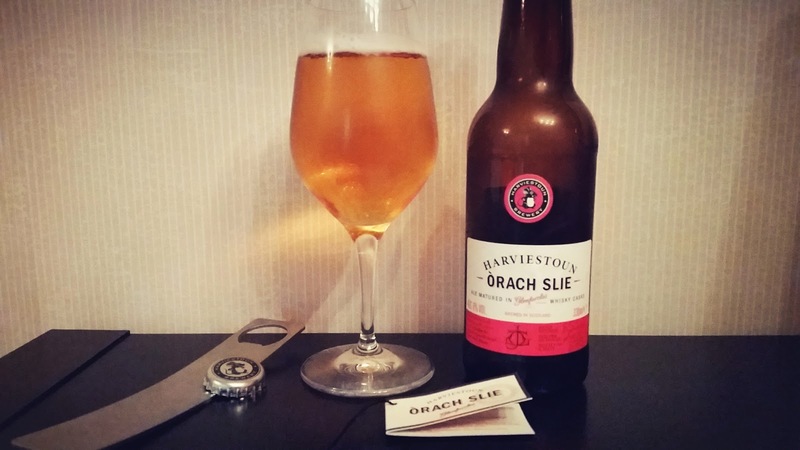 Used to see how barrel-aged beers last a long time in the glass, Òrach Slie vanished from it. 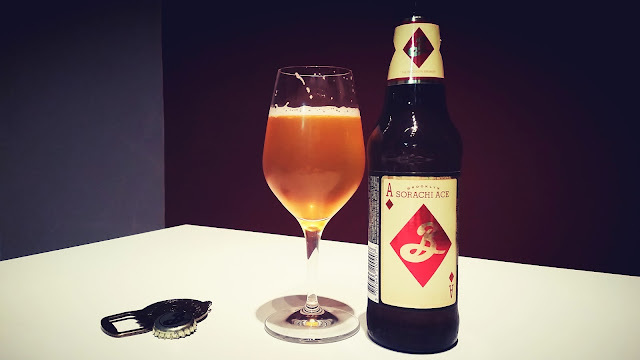 It seems that this is one of the main responsibles that today Sorachi Ace, a Japanese hop that had been almost forgotten not that long ago, brings its joyfulness to beers from many breweries all across the globe. This single-hopped Saison is an uninhibited display of its character, without fanfare and taking advantage of the other ingredients to highlight its attributes, providing aromas and flavours reminiscent of pineapple, coconut, loquat or lemon peel, with a background of cereals and pepper. All that in a beer that hides its 7.2% of alcohol with the same elegance that passes through the palate, with its well-measured body and that soft and pleasant carbonation. 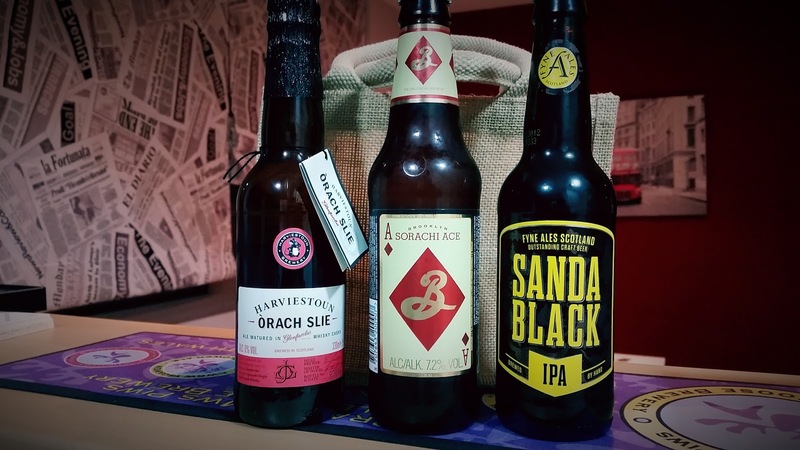 No wonder that this beer is one of the flagships of the popular Brooklyn Brewery. Cascadian Dark Ales, or Black IPAs. Yesterday trends, but in this case following a quite recent good line to produce more drinkable beers: balanced, lighter, less alcoholic... the miscalled Session beers. 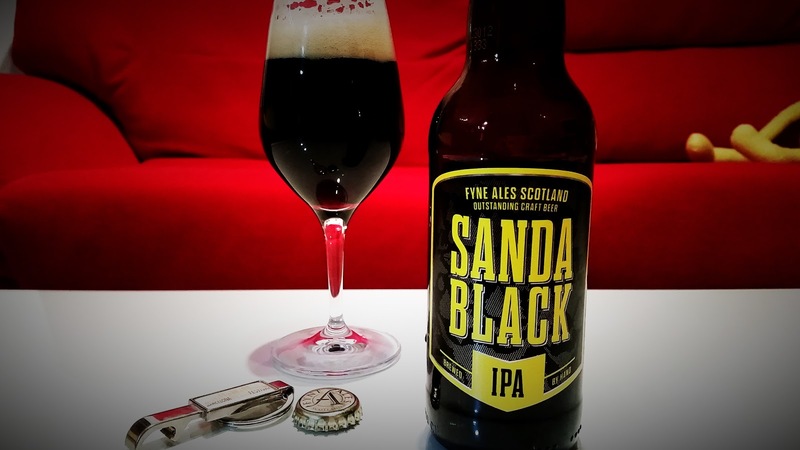 Fyne Ales seem to feel comfortable in this area, as it shows the dark sister of Sanda Blonde, with a near-black tone, and its powerful aroma and flavour. Nelson Sauvin and Citra hops features are nicely present, providing hints of gooseberries, green grapes, citrus and apricot, but with an important counterweight brought by the malts, with delicious notes of coffee and cereal. It flees from unnecessary eccentricities without losing character. Despite its 5.6% ABV it delivers intensity and a powerful but balanced bitterness, both remaining for a long time on the palate. --- To close the post, I can only thank Crusat free delivery of these three references from your catalog.